Jiffy Lube® is one of the largest providers of preventive maintenance and light duty repair in North America. More than 20,000 highly trained and certified technicians work at Jiffy Lube® service centers across North America. Your Jiffy Lube® technicians are ready to service your vehicle with the same attention, care and quality they would give to their own vehicles. Jiffy Lube® strives to provide the highest quality service to each customer, and one of the best ways to accomplish this is by having some of the best technicians in the business. Jiffy Lube technicians are not just your standard technicians. 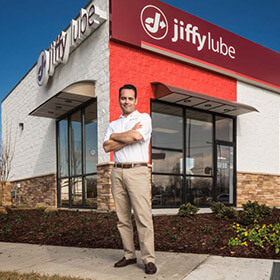 Every Jiffy Lube service center employee is required to complete Jiffy Lube University℠, an award-winning training program so extensive that Jiffy Lube earned the distinction of being an Automotive Service Excellence (ASE) Accredited Training Provider. Jiffy Lube University℠ combines state-of-the-art computer-based instruction, supervised on-the-job training and proficiency testing to help Jiffy Lube technicians become skilled in providing comprehensive preventive maintenance. Jiffy Lube takes pride in having some of the most highly trained technicians in the industry taking care of your preventive maintenance needs. So you can have one less thing to worry about. The Jiffy Lube training program is so thorough that it is recognized by the American Council on Education for college credit. And because Jiffy Lube is never satisfied with anything but the best, it won the American Society for Training and Development BEST Award — the training industry's most rigorous and coveted recognition. that Jiffy Lube technicians are trained in. When they’re making sure you know both why and what preventive maintenance is being performed on your vehicle, in most instances Jiffy Lube technicians draw on the same information and vehicle manufacturer recommendations that are used by your dealer.